Home/beer, canning/Fresh Hop Beers Are Coming This Sunday! This Sunday, we’ll be canning two of the most unique, exciting, and unexpected beers we’ve ever made. Weedy already wrote about them here, but that was before we sorted out how we were going to do packaging. And no, although you probably expect we did, we didn’t actually hire a professional artist to make that awesome sticker. I wrote “Almost” myself! So it’s sort of like each can is an autographed can! The amount of effort involved will honestly be similar to that; after all, we’ll have people applying stickers by hand to each can on Sunday. 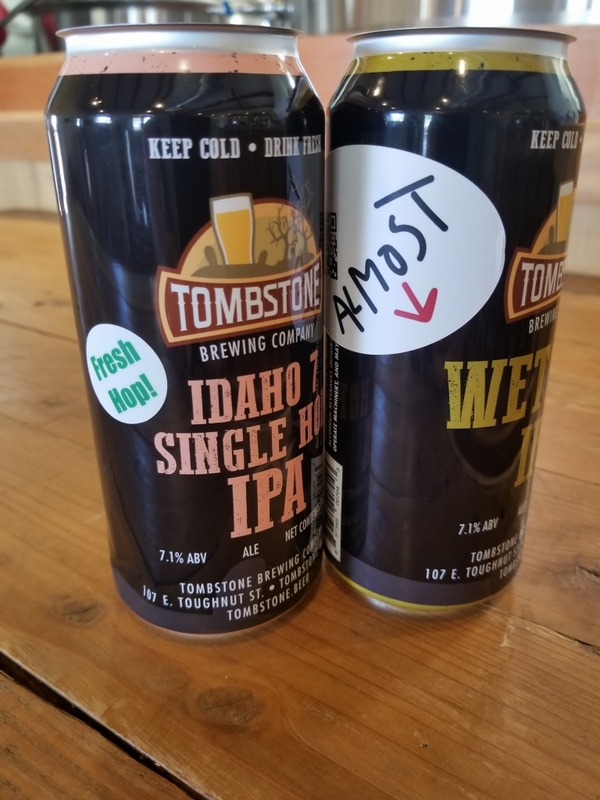 The recipes are similar, but the Almost Wet Hop IPA primarily uses floor malted Pils malt in the grain bill, whereas the Fresh Hop Idaho 7 Single Hop IPA is more or less identical to our regular IPA grain bill, which uses floor malted Maris Otter. The difference because of that actually pretty striking. The Almost Wet Hop has a doughy quality with hints of biscuit and honey and an especially smooth mouthfeel. 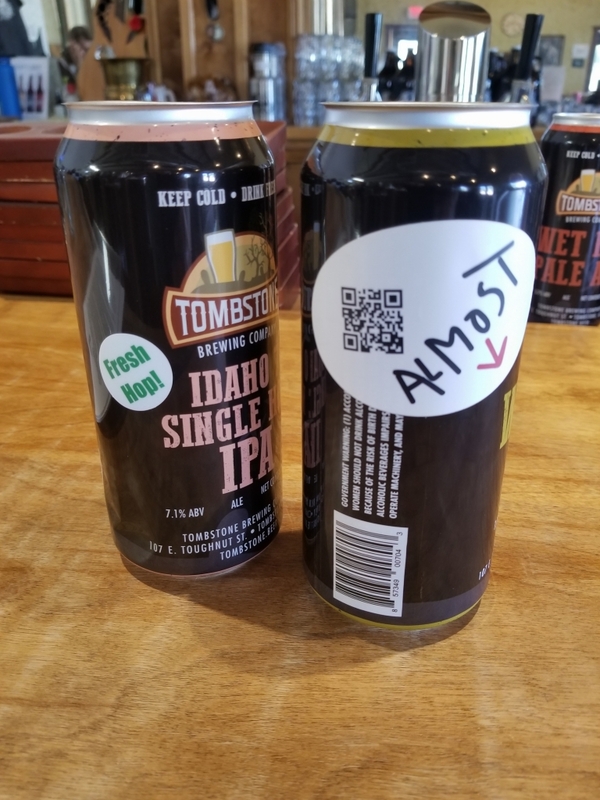 The Idaho 7 has the classic rich English ale malt character that is a major part of the flavor profile of most of our IPAs. 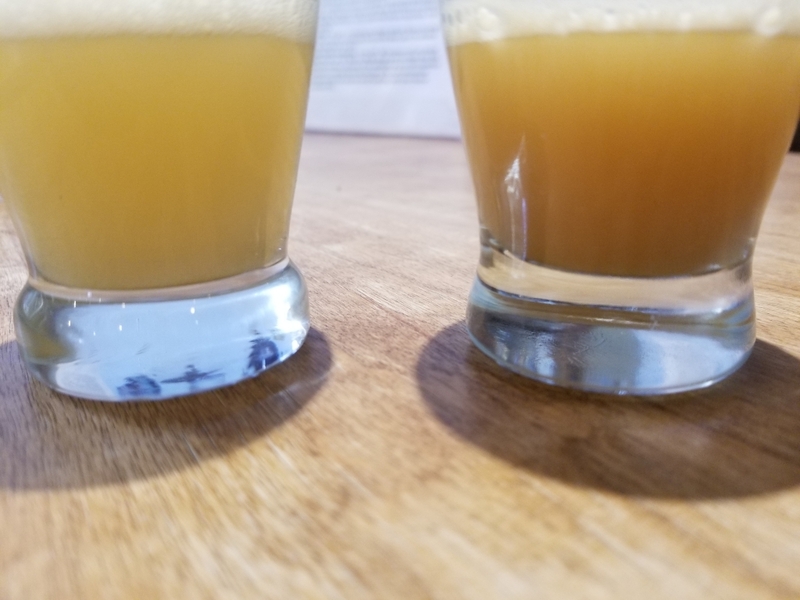 Both beers have the peachy yeast esters our customers have come to expect from all of our hazy IPAs. As for hops, the Almost Wet Hop is dominated by pineapple and guava, while the peach character of the Idaho 7 is so intense that, if it wasn’t so delicious, I’d be concerned that someone might have dumped tons (literally tons) of peaches into the fermentor while we weren’t looking. Even though they aren’t yet ready to can, both beers are already delicious. If you can make it down on Sunday, we’ll have them on draught in the tap room as well as in cans to go! And with the stickers, they’re almost like collector’s items, right?